Prioritizing the feedback you collect during beta testing is one of the most challenging and time-consuming tasks a beta manager faces. 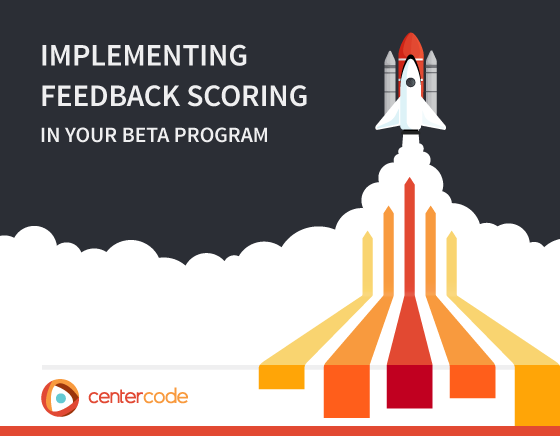 Our latest resource takes a deep dive into how Centercode’s Feedback Scoring features help your most impactful feedback rise to the top. A team of enthusiastic beta testers can generate a mountain of bug reports, feature requests, and discussions. The problem is that the more feedback collected during a beta test, the more labor intensive it becomes to review and organize it. Without being able to effectively review large quantities of tester feedback in real time, beta managers often rely on educated guesses and gut feelings to decide which bug reports and feature requests could have the biggest impact on their product. To combat this, our platform has powerful Feedback Scoring features that fully automate the process of prioritizing ongoing feedback such as bug reports and feature requests. These features look at a variety of aspects of the feedback (like severity, category, and frequency) and use an algorithm to calculate the impact resolving or implementing the feedback would have on your product. With a few clicks you can turn on these powerful features, which will allow you to make quick, informed decisions about what to do with the feedback from your beta program. The whitepaper will walk you through the concepts behind Feedback Scoring, as well as the steps you can take to implement and customize the elements of Feedback Scoring in your beta community. While this resource is designed to help our software customers take advantage of these powerful features, it’s also a useful document for companies interested in building their own beta testing programs. This whitepaper provides a glimpse into the effect a robust beta management platform can have on the ROI of your beta program. Download Implementing Feedback Scoring in Your Beta Program to see how you can assess the impact of your feedback to ensure that you’re putting your team’s limited development efforts into making the right changes to your product.